Sometimes, there is just a book that when you finished reading, you completely have no idea where you are… This world was so immersive that I came up disoriented and rather sad that I have to leave it behind. To begin with though, some mind-bending was required. In this world, you are born without a gender; you will remain as ‘undeclared gender’ until such time that you yourself wish to be confirmed to be one or another and then the process to change your body accordingly will take place. In an ‘undeclared gender’, ‘they’ is the pronoun used to refer to this person. I’ve only found out, thanks Google, that ‘they’ can also be used as a gender neutral third person singular pronoun. My brain is so not used to this so I’m feeling a little ignorant and slow to catch up… When I did though, I wish for this so much for our world! In a way, it will ease many heartaches… Not that this spare any of the people in this world! This novel is divided into 4 parts and years span between each part. It begins with Mokoya’s & Akeha’s births, parts of their childhood, their teens, and ended in their thirties. This first book in the series appears to deal more with Akeha’s search for his purpose as we follow his indecision (gender), as he ran away from his heartbreak, and a discovery of new things, hopeful things. Love, and nothing else. It was enough. As long as there was love, there would be hope. It was enough. The Black Tides of Heaven is a magical novel with an array of complex world building. That magic (loved how it’s called ‘Slackcraft’!) and modern technology being complementary was interestingly harmonious. The characters were alive and with all their flaws invited you to welcome them into your heart. The story took me on a flight of love, explosions of heartbreaks, and only to end with a broken but living hope. JY Yang is the author of the Tensorate series of novellas from Tor.Com Publishing (The Red Threads of Fortune, The Black Tides of Heaven, and two more slated for 2018 and 2019). Their short fiction has been published in over a dozen venues, including Uncanny Magazine, Lightspeed, Clarkesworld, and Strange Horizons. In previous incarnations, they have been a molecular biologist; a writer for animation, comics and games; and a journalist for one of Singapore’s major papers. Currently they are a science communicator with Singapore’s Agency for Science, Technology and Research (A*STAR). JY identifies as queer and non-binary. This entry was posted in Fantasy, GLBT, Reading Challenges, Reviews, Speculative Fiction and tagged #asianauthor, #asianlitbingo, #fantasy, #jyyang, #LGBT, #novellas, #queer, #specfic, #tensorate, #theblacktidesofheaven on 27/05/2018 by Tien. There is something behind the world of Circuses and Theatres, aren’t there? The glamorous and magical façade which overlay who-knows-what! The possibility is endless. And this is what appeals of this series, most especially when you see the author’s illustrative reviews of the books (Pantomime / Shadowplay). Those beautiful illustrations just makes you curious of the wonders you’d come across in these stories. Shadowplay began just where Pantomime left off. We got to see Micah & Drystan eluded their pursuers and sought refuge in an old unused theatre; a theatre with the history of glittering magic shows. Thence began their adventure into the world of show business. All is not well, however, in this world. Not only are Micah & Drystan being shadowed by suspicious characters, they also need to avoid detection by their audiences, and at the same time, be ever so successful to ensure their survival is met. On top of this, as one question of Micah’s background is answered, ten more surfaced. This mystery is getting more intriguing and at the same time, frustrating because you feel like you’re getting nowhere! The big picture of Shadowplay is the same as that of Pantomime, run away and hide in plain sight. I just loved the world and to an extent, the main characters, that I quite enjoyed this book too. I love the premise of the real magic (aside for the magic shows) and Micah’s mysterious background which I hope will all be revealed in the next book (it can’t come fast enough!). 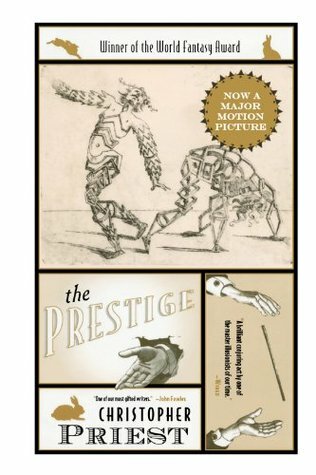 The feud between the magicians, Maske and Taliesan, is somewhat reminiscent of the feud in The Prestige by Christopher Priest. There were points of differences but I can’t help but feel a bit disappointed by this feud due to some similarities that I don’t think I loved the book as much as I wanted to. Overall, whilst it was an easy read and I quite enjoyed being immersed in Ellada, Shadowplay has the feeling of a ‘filler’ sort of books; the ‘in-between’ sort of place. I have ten thousand more questions to be answered and I have very high hopes for the reveal-all -fingers crossed, in the next book. Especially seeing how this book was ended … we are being led on a merry chase. 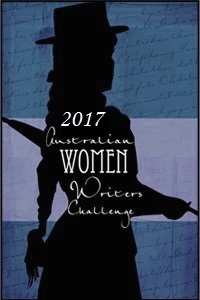 This entry was posted in Adventure, Coming of Age, Fantasy, GLBT, Reviews, Young Adult and tagged glbt, laura lam, magic, pantomime on 17/01/2014 by Tien. In my adolescent years, growing up in Asia, manga was very popular. I devoured many series though my most favourite would have been Sailor Moon. I remember the wait for the publication of the first book then the next and so on and so forth. One other type I would voraciously hunt down are any ballet related manga. I probably would have read all the Mari-Chan’s series and fell in love more and more with ballet. The lines of drawing ballerina gracefully in mid-flight, each character’s love of ballet and determination to succeed –what can’t you love about these series?! 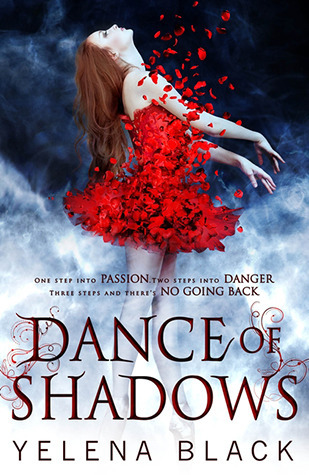 I just love love love this cover of Dance of Shadows –beautiful colours which gave an impression of movement. The blurb falls along the line of a ballet manga and I couldn’t resist. It was a pretty easy read despite struggling with ballet jargons (I know some but not all) and whilst I know the theory, sometimes, it’s just hard to imagine the movement they’re supposed to do. Knowing ballet and ballet terms would definitely help in understanding the characters’ struggles in their ballet class and goals. Vanessa and the girls continued staring at him. “The how would you communicate?” Elly asked quizzically. This story is not in any way light-hearted though much darkness (and slowness) was pierced by chuckle-worthy humour [see Blaine above]. Whilst the ending isn’t a cliff-hanger per se, it is well set up for the next book which I look forward to! 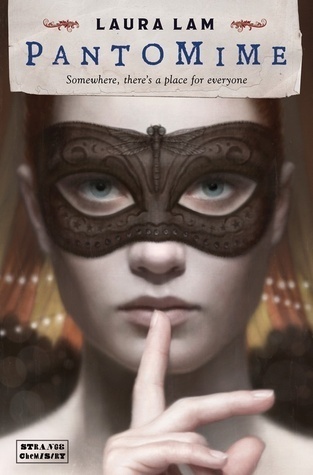 This entry was posted in GLBT, Mystery, paranormal, Reviews, Young Adult and tagged advanced copies, ballet, bloomsbury, dance of shadows, the reading room, yelena black on 26/04/2013 by Tien. What is so fascinating about the circus? I think it dates back to childhood days where we are so impressionable that the pomp, the animals, and weird & wonderful truly grabbed our hearts and souls. It’s also a very special treat which makes it utterly precious as memories. My love for circus in literature also dates back to childhood –does anyone remember Mr Galliano’s Circus by Enid Blyton? One of my childhood’s favourite! The blurb does not do the book justice but I’m not about to give you any more than the blurb because that’s the fun of reading it for yourself! The unveiling of all the itty bitty mysteries the author has buried deep inside the story. There are quite a number of layers in this book and I can’t share one without telling you about the rest. Suffice to say that when I started to wonder what the title, Pantomime, has to do with the book, it came about and I really enjoyed the last few chapters. This is not a stand-alone book! It definitely has whetted my appetite and I am anxiously waiting for the sequel (2014! So far away!). A note to parents, this book is pretty clean (there are some kisses and a little touch here and there) however be prepared to face some GLBT type of questions. I would suggest you read it for yourself first. 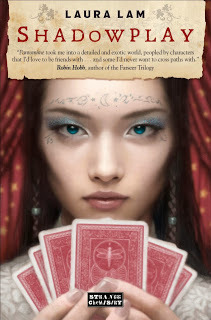 This entry was posted in Coming of Age, Fantasy, GLBT, Netgalley, Reviews, Young Adult and tagged circus, iphigenia laurus, laura lam, micah gray, pantomime on 29/01/2013 by Tien.